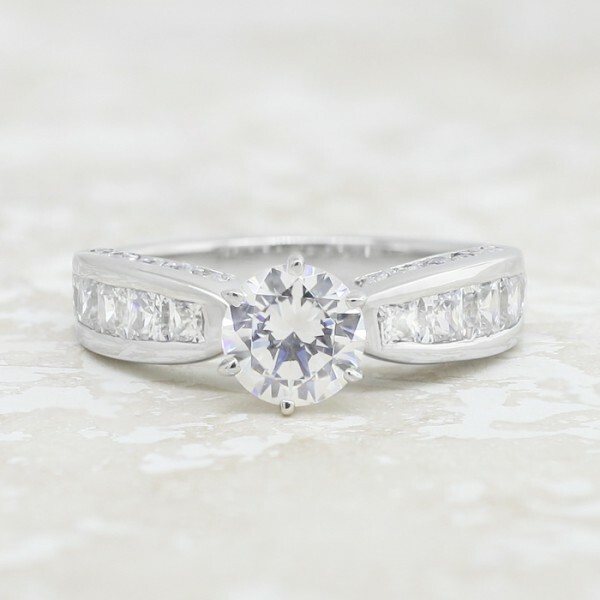 Retired Model Deco with 2.04 carat Round Brilliant Center - Platinum - Ring Size 7.0 was added to your cart. This showstopper brings glamour to new heights. The lofted Contemporary Nexus Diamond center stone shines high above the accented band, which is set with even more Nexus Diamonds along the top and sides of the shank. Though the band is thick, it tapers gracefully toward the center, making the main stone appear larger and even more brilliant. Center Stone: 2.04 carat Round Brilliant cut Nexus Diamond.